London, 13 April 2010 – Live dealer provider Evolution Gaming, which has offices in London, Malta and Stockholm and high tech Internet video-streaming studio facilities in Latvia, has become one of the first in its sector to achieve the high standards required for the eCOGRA Certified Live Dealer Seal. The company is an acknowledged leader in its sector, and counts many major European Internet gambling operators among its clients, including 888, Bet-At-Home, Expekt, Gala Coral Group, Ladbrokes, PaddyPower, Party Gaming and Unibet. Explaining the significance of the Certified Live Dealer Seal, eCOGRA CEO Andrew Beveridge said this week that the relevant eGAP or international best practice standards required had been specifically designed for the distinct nature of live dealer operations, in which live games are streamed over the Internet in real time from casino studio environments managed by pitbosses and staffed by croupiers. “The genre differs from the more common and purely software-powered online casino concept in that it features live staff using real gambling devices and tables,” said Beveridge. “This requires a very specific set of operating standards and requirements to ensure absolutely fair, safe and independent gaming in which both hardware and software systems are reviewed. 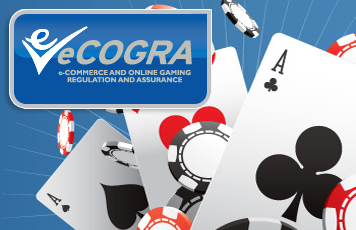 Chartered Accountant Gareth Muirhead, who spent several days in Riga, Latvia conducting the review, said that his compliance plan had included the examination of both return-to-player and RNG elements, and ensuring that eCOGRA’s Total Gaming Transaction Review system was securely in place, continuously monitoring all gaming activity. “Evolution Gaming operates a very tight ship, and the cooperation of chief operating officer Svante Liljevall and the technical and operational staff in Riga was outstanding,” Muirhead wrote in his report to the Independent Directors controlling the issue of eCOGRA seals. Congratulating the management and staff in Riga on achieving the eCOGRA accreditation, Evolution Gaming chief executive officer Jens von Bahr said: “As a company we have always tried to lead rather than follow, and I am delighted that you have been successful in satisfying a tough but very practical set of international best practice standards. Evolution is an independent online gaming developer based in London, Malta, Stockholm and Riga. It is the only European live-gaming developer to custom build and operate its own licensed studios, enabling it to broadcast quality, real-time ‘virtual’ casinos through its clients’ websites to the end-user. Since 2006, Evolution has revitalised the European ‘live dealer’ platform, turning a niche product into a ‘must have’ for major gaming operators. The industry’s biggest names are now enjoying the financial benefits and end-user satisfaction that Evolution products impart. The company is regulated through the Alderney Gambling Control Commission, offering its customers transparency and the prospect of an expanding range of games designed to meet the changing needs of clients and players alike.